Heavyweight champion Daniel “D.C.” Cormier has said that he would retire in March of 2019 but his coaches and UFC President Dana White continue to say they believe he’s got three fights left in him. Cormier, who became the heavyweight champion and the third ever double-champ in UFC history by defeating Stipe Miocic at UFC 226 last July, has not fought since UFC 230 this past November. Cormier defeated Derrick Lewis in the main event of UFC 230 to retain his heavyweight title and then relinquished the light heavyweight title prior to UFC 232 this past December, when his bitter rival and former champion Jon Jones made his return. Jones would go on to defeat Alexander Gustafsson at UFC 232 to reclaim the light heavyweight title that has been the fire to the rivalry between him and Cormier. Following his win over Miocic, Daniel Cormier was confronted by former UFC heavyweight champion and current WWE superstar Brock Lesnar, who made it known that he was coming back to challenge Cormier for the title as they engaged in a post-fight scuffle. While there’s been no official news of a return for Lesnar, UFC President Dana White has an idea of how he’d like the current champion to finish out his career. 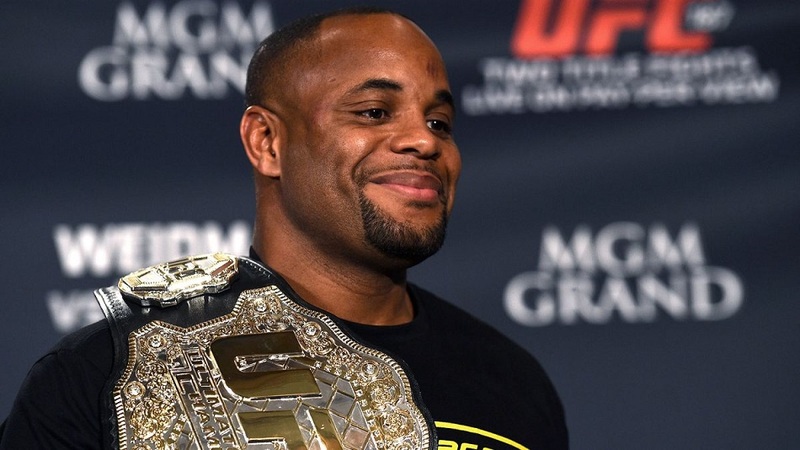 With the magic number of three remaining fights being the topic of conversation surround Cormier’s potential retirement, Dana White spoke to the media prior to UFC 234 and gave his thoughts on the champion’s future. According to White’s vision, Cormier would have two big rematches and one potential massive money fight in his final three opponents. As the future of Cormier remains unknown, Dana White’s plan would set Cormier up with the biggest money and legacy fights as he ends his career. Miocic has been very open about wanting a rematch with Cormier who has turned him down numerous times, while a rematch with Jon Jones at heavyweight brings plenty of intrigue, and the wrestling backgrounds of both Cormier and Lesnar would make for quite the fight.